The Helios Hotel is a modern and elegant three stars category hotel of brand new opening that is located along the Main Street of San Vito lo Capo. The hotel enjoys a wonderful panoramic view on the city and is considered among the most beautiful holiday destination in San Vito lo Capo. 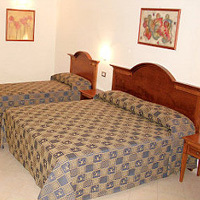 Enhance your next vacation in San Vito lo Capo by being in the heart of it all! While staying at Helios Hotel you will be in the very city center and about 800 meters from the beach.